QUESTION: My mother's feet become swollen very often; especially after walking even for 15 minutes. She tries to put her legs up and to lay down often, but not good results. I am worried about her condition, because her feet are also tingling, and sometimes they are numbed. Is there any other treatment for my mom's diabetes foot swelling? What to do to alleviate her situation? Thank you. It is good that you are taking care of your mother, but you have to know that swelling of the feet is a typical symptom for many diseases, including diabetes. However, I’m not able to give you the exact cause of it, but know I will explain you the possible options. 1. First of all, such fast swelling is characteristic for patients with heart failure. However, you have to make a consultation with your doctor about this, because I’m not able to put this diagnose from long distance. 2. Other possible explanation of this swelling is acute or chronic renal failure, which will be characterized by urination problems, which were not mentioned by you. However, just for precaution discuss this with your doctor. it attracts water, which leads to the accumulation of water under the skin and swellings. However, you haven’t mentioned anything about blood glucose results, which makes me unable to confirm or exclude this as possible diagnose. Anyways, numbness is something very typical for patients with diabetes, because of the diabetic neuropathy. You have to know that patients with diabetes are developing this condition, which is characterized by nerve damages and loss of sensation or numbness. However, this condition has to be confirmed by specialist, because several tests have to be estimated. 4. You have to know that similar swellings are also observed in patients with liver damages, like liver cancer and cirrhosis. However, there are other symptoms, except for the swellings and you haven’t mentioned anything. My advice for you is to take your mother to her physician for blood glucose, blood pressure and CBC panel test. Some of these results are going to indicate the possible cause of these swellings. Nausea & Lightheaded Type 2 Diabetic! Heel Pain & Farting Diabetes Problems? 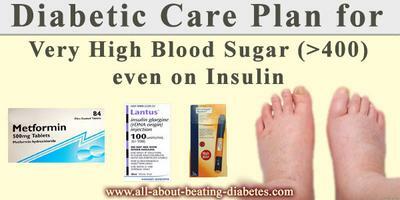 Afternoon Diabetic Swollen Foot Causes? Ask the Doctor now? Simply click here to return to Complications from diabetes.